This month we have delicious ideas, rolls and biscuits, easy to make this Thanksgiving day. I love a good homemade bread and the recipe I have for you is super easy to make, great for dinner time or even as an option for breakfast the next day. You can make it a head of time, keep it in the fridge and bake it just before dinner, nothing better like the smell of the bread baking, yum! I hope you like this idea, you can always change it up a little bit and make it even more tasty, leave me a comment I want to hear what other flavors will you add to this simple homemade rolls. This month we are baking Biscuits and Rolls that would fit in nicely at any Thanksgiving table. For more bread recipes, visit the #TwelveLoaves Pinterest board, or check out last month’s inspiring selection of #TwelveLoaves Crackers, Crisps, and Flatbreads! If you’d like to bake along with us this month, share your Thanksgiving Biscuits and Rolls using hashtag #TwelveLoaves! Delicious and easy homemade rolls. In a bowl mix, flour and salt. Place the yeast in the warm milk with the sugar and let it grow for 5 minutes. Add the yeast mixture and the egg to the flour and mix until a dough is form. Work the dough for 10 minutes, place the dough in a bowl and let it rise for 35 minutes. In the meantime preheat the oven to 375 degrees. After the 35 minutes, cut the dough in 12 pieces and form the balls. Place in a baking dish and let the it rise for 10 more minutes. Bake for 25 minutes and the rolls are ready to enjoy. 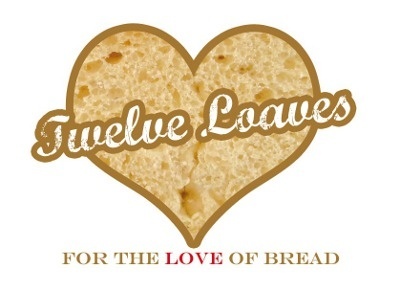 This entry was posted in #TwelveLoaves and tagged bread, easy, homemade by Kathia Rodriguez. Bookmark the permalink.